Classic Audio Book CD - Jane Austen demonstrated her mastery of the epistolary novel genre in Lady Susan, which she wrote in 1795 but never published. 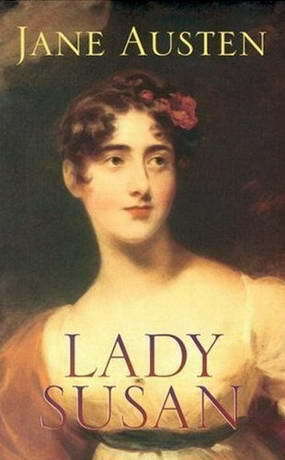 Although the primary focus of this short novel is the selfish behavior of Lady Susan as she engages in affairs and searches for suitable husbands for herself and her young daughter, the actual action shares its importance with Austen’s manipulation of her characters’ behavior by means of their reactions to the letters that they receive. The heroine adds additional interest by altering the tone of her own letters based on the recipient of the letter. Thus, the character of Lady Susan is developed through many branches as Austen suggests complications of identity and the way in which that identity is based on interaction rather than on solitary constructions of personality. Lady Susan’s character is also built by the descriptions of the other letter-writers; but even though their opinions of this heroine coincide with the image that develops from her own letters, Austen demonstrates the subjectivity of the opinions by presenting them – primarily – in the letters of one woman to another, thereby suggesting the established literary motifs of feminine gossip and jealousy. Readers recognize these subjective motifs and examine all of the idiosyncrasies of the characters in order to create their own opinion of Lady Susan – as they would of any real acquaintance.